Sauerkraut is the perfect side dish to your grilled summer fare. Burgers, salmon, and grilled vegetables all pair nicely with a savory sauerkraut. 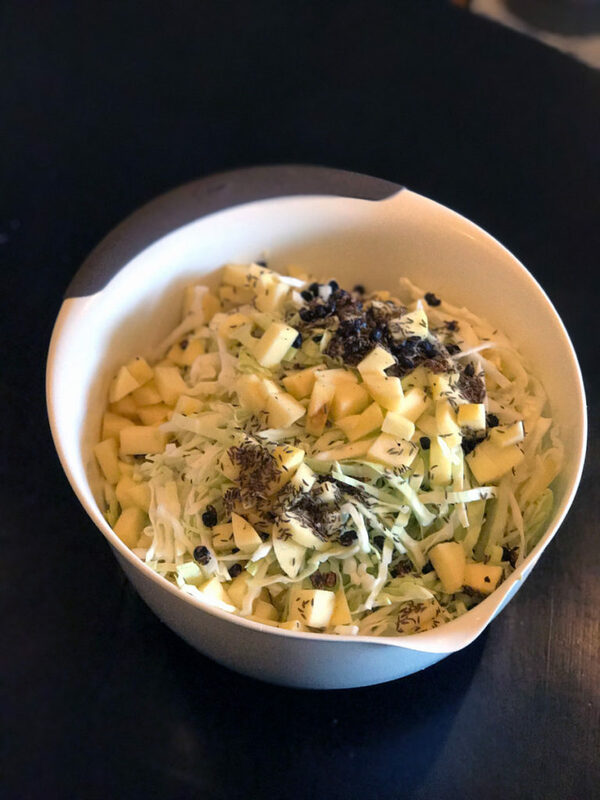 And just to mix things up, here is a unique Bavarian sauerkraut variety featuring apples, caraway seeds and juniper berries. 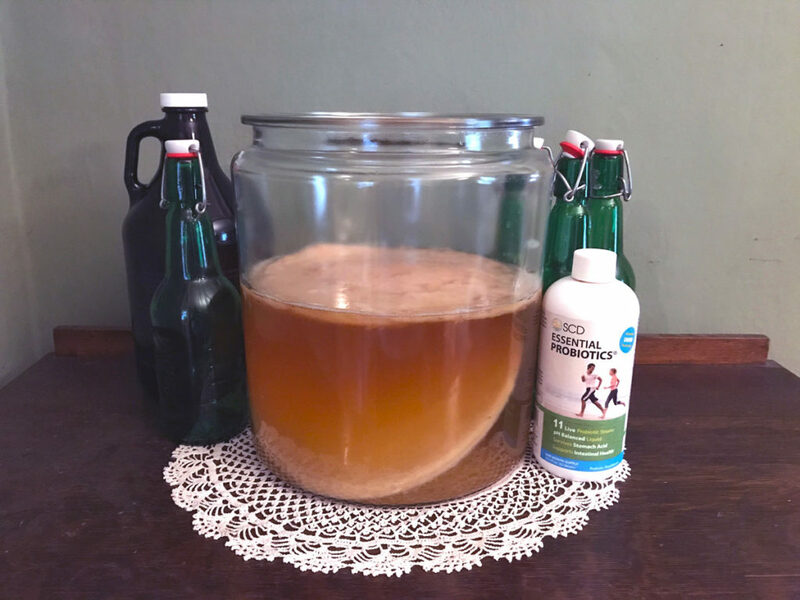 Have you heard about lacto-fermentation? Likely you are familiar with the process if not the term. 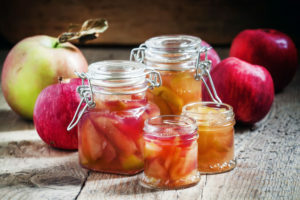 Lacto-fermented foods are fermented by lactobacillus bacteria, which is a category of beneficial bacteria that feeds on sugar and produces lactic acid as a by-product. Moreover, this is why lacto-fermented foods taste acidic. 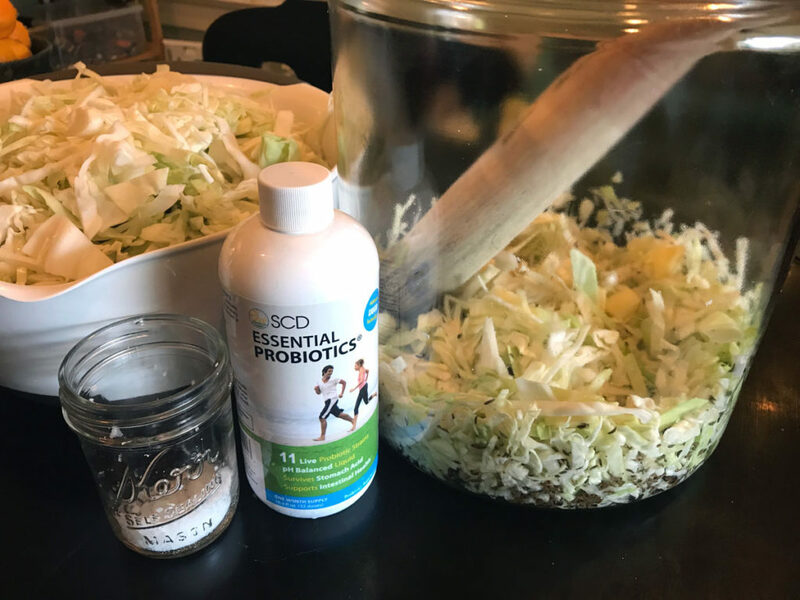 SCD Essential Probiotics contains 5 probiotic strains in the lactobacillus family (plus 6 others) and can be added to recipes as a fermentation starter. 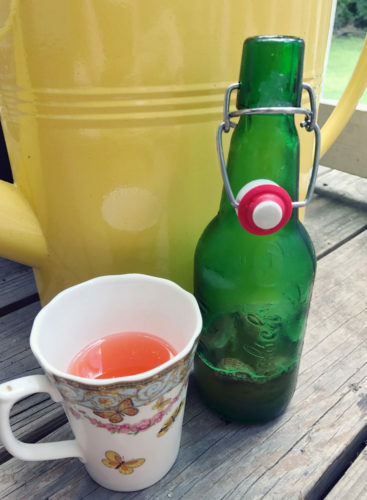 In fact, we tried this recipe and added SCD Essential Probiotics to start the fermentation and boost the probiotic content. 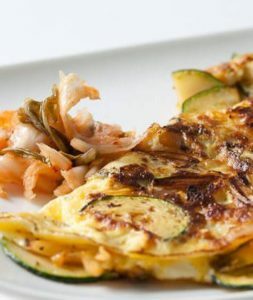 Combine the shredded cabbage, chopped apples, spices and SCD Essential Probiotics. Add shredded cabbage and apple mixture little by little into a jar. We used a kombucha fermentation crock. Pound the mixture to soften the vegetables and sprinkle a little sea salt as you go. Fill the jar no more than 1 inch below the top (because of expansion). Ensure that the extracted water covers the vegetables entirely. If not, create a brine of 2 tablespoons sea salt to 4 cups water and add the needed amount to the jar. Press the mixture and keep it under the brine by placing a plate or a lid on top. Weigh the lid down with a rock or a jug of water. Cover with a clean towel if needed to keep out fruit flies. Check from time to time to ensure that the brine covers the mixture. Taste your sauerkraut during the fermentation process and move it to the refrigerator when you like the taste. We halved the recipe and still had plenty to share with friends. And the word in the office was, “Delicious!” So, try this paleo, lacto-fermented, sauerkraut recipe for you next grilling party or picnic. It’s a savory, healthy, probiotic addition to any summer menu. Have you been searching for a warm drink to spice up the cold, winter nights? This curry-infused tonic may help you fight inflammation and the winter blahs. Golden Milk, a.k.a. 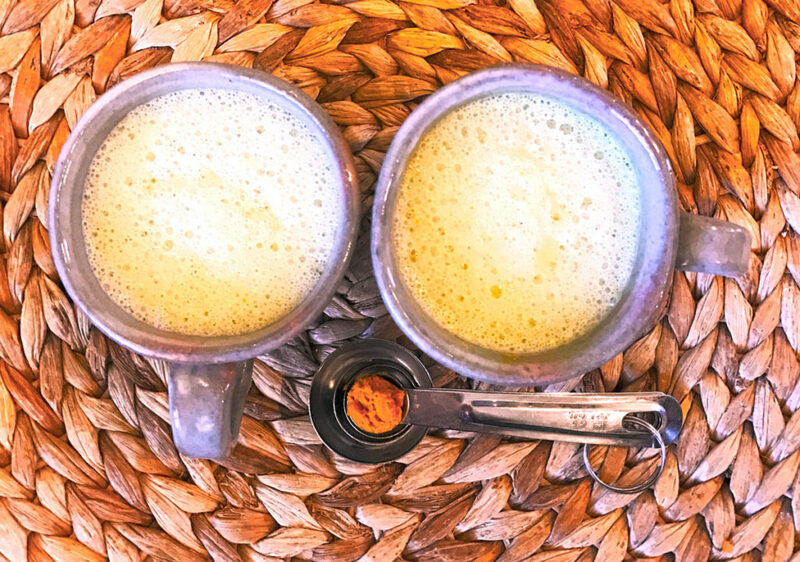 turmeric latte or haldi doodh, has been consumed for centuries in India. Most noteworthy, adding black pepper to the drink boosts the bio-availability of curcumin by up to 2000%. So it makes perfect sense that these two key ingredients are combined in curry blends, eaten throughout Asia for centuries. Fight inflammation associated with arthritis. Turmeric extract supplements worked just as well as ibuprofen in patients with knee osteoarthritis. 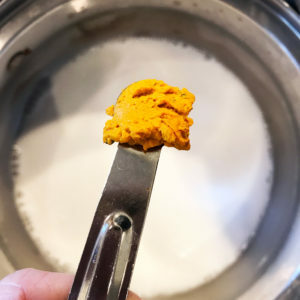 Combine the milk and turmeric paste in a saucepan. We chose coconut milk and diluted it. While heating, make sure to stir constantly and do not boil. Remove from heat and allow to cool slightly. Add honey to taste. 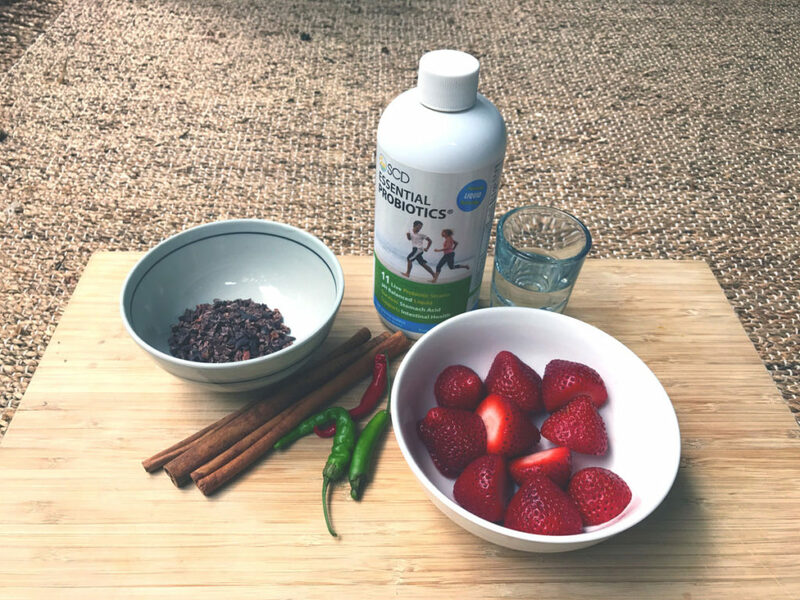 Then add your favorite liquid probiotic to make this inflammation-busting drink with a probiotic kick! According to Ayurveda, do not drink large amounts of this liver-detoxifier as 1/2 – 1 cup will be more than enough. Also, cow’s milk is the traditional ingredient instead of hemp, almond or coconut milk. While Golden Milk was a new taste for us, we found it sweet, warming and delicious. So if you like curry, we wholeheartedly suggest you try this aromatic drink. All in all, Golden Milk is a healthy substitute for hot cocoa on a snowy, winter evening. And the turmeric will help your body fight inflammation and may even help you fall asleep. Mix all ingredients in a small saucepan over medium heat until a thick paste forms. Then, cool and store the paste in a jar in your refrigerator. Surely your feed is flooded with holiday recipes: hors d’oeuvres, beverages, and desserts. But have you considered enhancing your favorite mixed drink with probiotics? What better way to celebrate the magic of your digestive track than by sipping a probiotic cocktail with family and friends. Unsuprisingly, research has shown that over-consuming alcohol can disrupt the natural balance of your digestive tract, increasing your risk of ulcers. In addition to increased production of stomach acid, drinking alcohol is one of the main risk factors in the development of gastritis — a condition that can cause indigestion, nausea and vomiting. 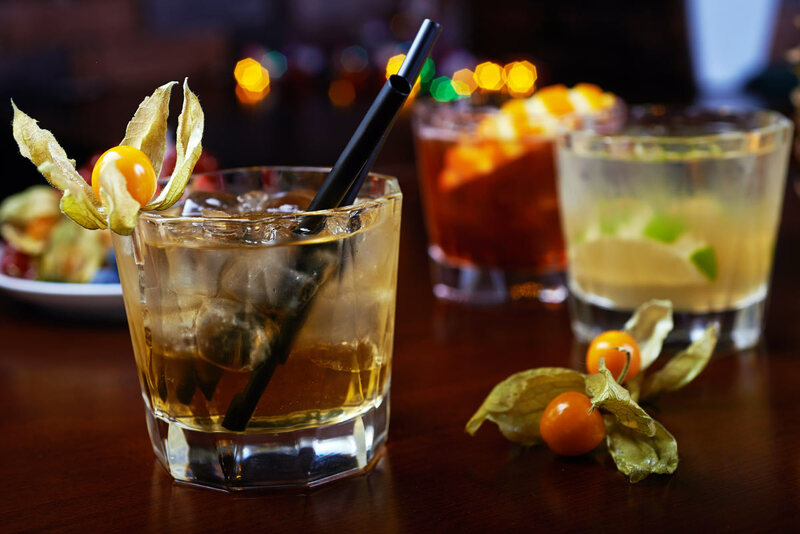 Besides the long term risk of ulcers and gastritis, many of us are afflicted with alcohol’s short term payback — the hangover. “Probiotics actually help to metabolize the alcohol as well as breakdown products of alcohol,” says hangover specialist Jason Burke, MD. So why not add a shot of probiotics into your mixed drink this holiday season. 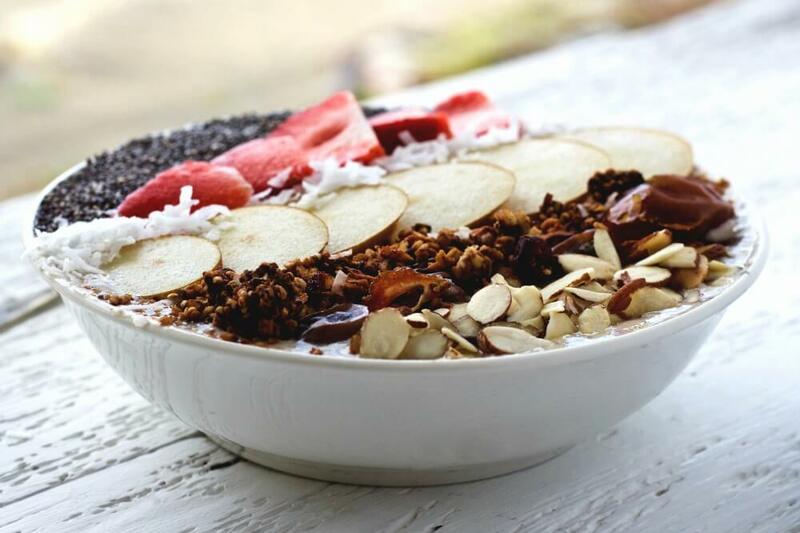 Pre-tox with a probiotic and avoid that nasty hangover. Pimm’s No. 1 is a gin-based potation made in England from dry gin, liqueur, fruit juices, and spices. Also, Pimm’s Cup is still the traditional drink of Wimbledon, with visitors to the matches consuming some 40,000 pints a year. First, gently muddle the cucumber and lemon slices in a chilled highball glass. Then, pour in the Pimm’s, SCD Herbal Probiotics, and 7UP, lemon-lime soda, or ginger ale. Stir to combine. Lastly, add ice to fill the glass and garnish with the lemon twist. Paul Clarke from Serious Eats says it “predates not only the motor car, but the presidency of Abe Lincoln.” Clearly, the Old Fashioned is a timeless classic but why not update it for the 21st century by adding liver-supporting probiotics. In an Old Fashioned glass, muddle the bitters, sugar, orange wheel, cherry and a splash (or more) of soda. Then, remove the orange rind, add the bourbon and SCD Herbal Probiotics and fill with ice. Finally, garnish with a fresh orange wheel and cherry. So give your liver and stomach a boost. Almost surely, they will be working overtime for you. And making these probiotic cocktail recipes will add a splash of health to your celebration this holiday season. We all want to age gracefully. At least, that’s what we say. 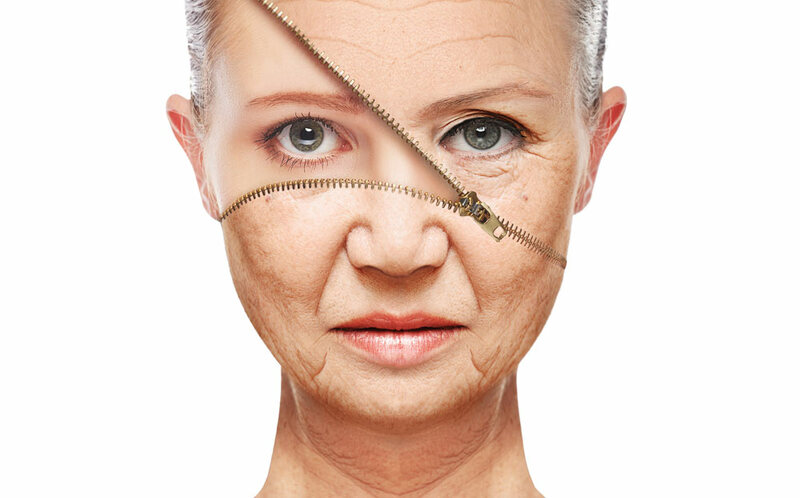 However, it seems everyone runs for the hills at the thought of wrinkles and age spots. To try to prevent or combat the inevitable, many have turned to anti-aging or skin-firming creams and gels. Some claim these products are miracle-workers, while the FDA…. well…. they claim they might have mercury. Apparently, some anti-aging creams, acne washes, and even cover-ups contain small traces of mercury. Instead of reaching for those pesky, apparently-dangerous creams, maybe make your own? We have the scoop on an easy Probiotic Anti-Aging Mask. A lot of people recommend all-natural substitutes for dangerous chemicals. Even on this blog, we’ve written about all-natural sunscreens, DIY probiotic deodorant and other skin care recipes to help you keep informed and safe! Below you will find an amazing, all-natural anti-aging mask recipe that smells as good as it’ll make you look! Mix these ingredients together and apply onto your face with a thick makeup brush. Leave on for 20-30 minutes and wash off! How does it work to prevent/treat wrinkles and age spots? Let’s break it down, piece by piece. This sticky mess is known to work as both as agent to hold the coffee grounds on your face and a pore-shrinker. Egg whites are thick and sticky, making your face tighten upon contact– and stay that way! Coffee has a ton of caffeine that works to stimulate the skin cells and cause they to tighten up. It also has been shown to reduce the appearance of age spots by assisting your skin in generating new cells (it gives the skin cells a push)! Probiotics protect your face from unwanted bacteria while keeping the natural, good bacteria on your face. 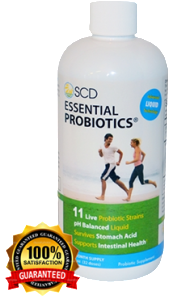 SCD Essential Probiotics is a liquid probiotic that is great for protecting your skin! 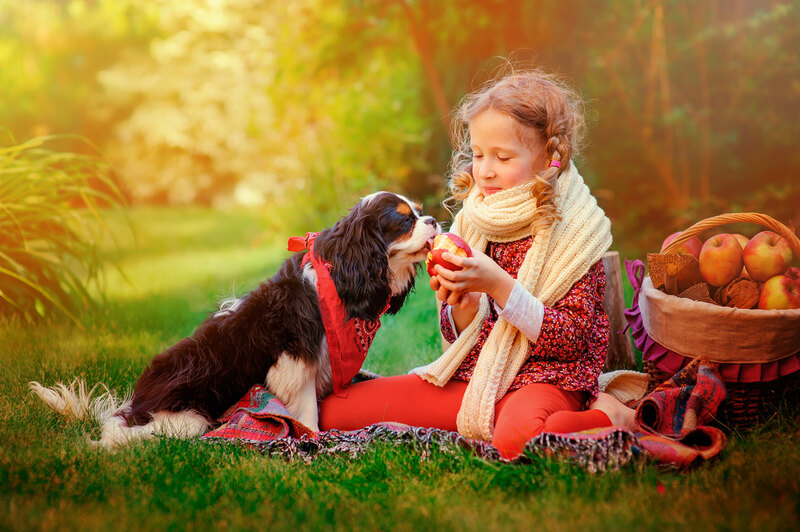 Protective Shield: Probiotics applied topically sit on the skin’s surface and prevent the skin cells from seeing the bad bacteria and parasites that can cause this immune system response. This is known as “bacterial interference,” as probiotics protect the skin and interfere with the ability of bad bugs (or bacteria and parasites) to provoke an immune reaction. Antimicrobial Properties: Sometimes the substances produced by probiotics have antimicrobial properties, meaning they can create holes in bad bacteria and kill them. Similar to the way antibiotics work in the treatment of acne and rosacea, probiotics can help fight harmful bugs from triggering inflammation. Calming Effect: When certain types of probiotics are placed in contact with skin cells, they calm the parts of the cells that may want to react to the presence of bad bacteria that they see as a threat. All in all, aging is natural. Don’t run from it. Don’t panic. It is something that everyone goes through and it does take some getting used to. Instead, try this probiotic anti-aging mask to keep you healthy and firm! Just remember: You are beautiful no matter what! You stink. I stink. Once in a while, we all stink. It’s not our fault (usually)– our body’s natural response to stress is to sweat. Unfortunately, sweat causes a chemical imbalance on our skin, resulting in an odor. And you know exactly what I’m talking about: arm pits. To combat our smelliness, we tend to lean towards deodorant; however, it looks like the harsh chemicals in deodorant can cause some pretty nasty stuff (much nastier than body odor). So what’s a solution? Well, how about a probiotic deodorant? It is as freaky as it sounds. Research is suggesting a strong connection between deodorant use and health problems, such as seizures and even breast cancer. But how? Unfortunately, deodorant contains aluminum and parabens to stop perspiration and replace it with a pleasant smell. But these two additives can do some gnarly stuff to your skin and, as your body absorbs it, the insides of your body, too. If the scary parts of deodorant are freaking you out, perhaps try this DIY probiotic deodorant recipe. How does it work? The smelly parts of your underarm are caused by bad bacteria. Probiotics work to neutralize bacteria and replace it with the good bacteria. See the connection? With consistent use, probiotics could potentially eliminate the bad bacteria and support clean, odor-free underarms! Use one, clean deodorant container or a small jar to store. 1. Melt cocoa butter, coconut oil, shea butter, and beeswax over low heat. 2. Remove pot from heat, then add arrowroot powder and baking soda. Whisk with chopsticks until all powders are dissolved and combined. Add vitamin E oil and essential oils at this time. Allow mixture to cool in pan. Once it is cooled to the consistency of pudding, add the SCD Essential Probiotics and mix well. 3. Add mixture to clean, used deodorant container. Place in refrigerator to cool and harden. After this, product may be stored on counter. This recipe will fill container and last for 3-4 months. Remember…a little goes a long way! To keep your family safe and happy, maybe consider changing some of your beauty products to that of all-natural origins. They have amazing benefits! Remember- always do your own research to decide what’s best for your family. In the meantime, make sure you tune into our weekly blog for the latest industry news! If you’ve been paying attention to the news regarding sunscreen, it’s been getting a pretty bad reputation. Parents have been complaining that their children are getting burns from their sunscreen- how ironic! As it turns out, there are a fair amount of “bad” chemicals in sunscreens that can actually promote the growth of skin cancer and can even cause chemical burns or rashes! But what’s scarier- chemicals in our sunscreen or the UVA/UVB rays harming our skin? Dr. Perry is not recommending going outside without protection from the sun; anything more than “twenty minutes exposed” can cause serious damage. If you are one who frequents the pool or enjoys working in the garden, you’ll still need some type of protection. His recommendation? A homemade, all-natural sun block using zinc oxide minerals, a naturally occurring chemical that is not absorbed into the skin. But remember- it has to be the mineral, non-nano zinc oxide, as the non-nano zinc oxide particles cannot permeate the skin and enter the bloodstream! Below is our recommendation for an all-natural, non-nano, zinc oxide sunscreen with probiotics that will protect your skin from the sun, balance the skin’s microbiota, and will keep you from having to use that scary sunscreen! Enjoy this natural, probiotic sunscreen! 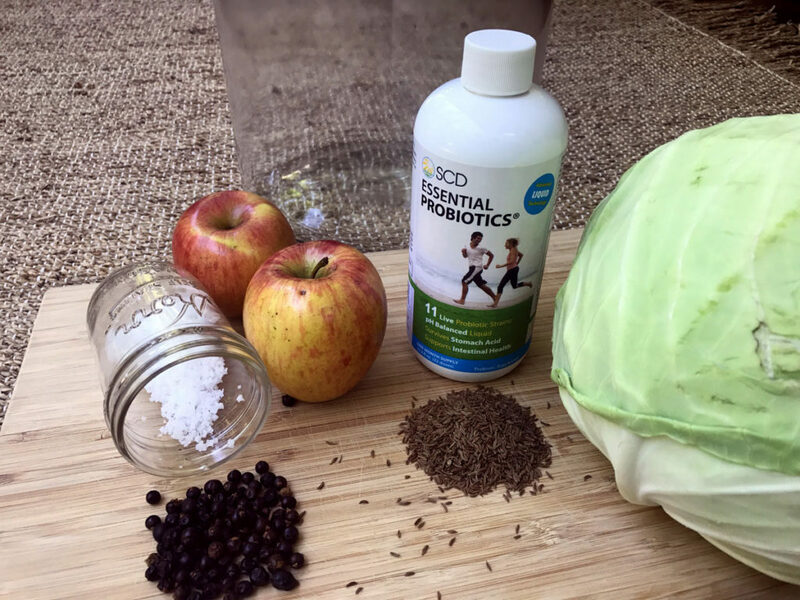 Combine all ingredients except SCD Essential Probiotics in a pint sized or large glass jar. I have a mason jar that I keep just for making lotions and lotion bars, or you can even reuse a glass jar from pickles, olives, or other foods. As the water heats, the ingredients in the jar will start to melt. Shake or stir occasionally to incorporate. When all ingredients are completely melted, stir well and pour into whatever jar or tin you will use for storage. Small mason jars (pint size) are great for this. It will not pump well in a lotion pump. Stir a few times as it cools to make sure ingredients are incorporated. Add SCD Essential Probiotics to the mixture when its still liquid and lukewarm, thus ensuring the microbes stay alive. Do not inhale the non-nano zinc oxide during preparation. Coconut or vanilla extract or lavender essential oils for fragrance. Store in a small canning jar and apply like a body butter. It will be thicker, especially if you use coconut oil in the recipe.